Behind this gate are the graves of two of my ggg grandfathers, two ggg grandmothers and a 2nd cousin once removed. 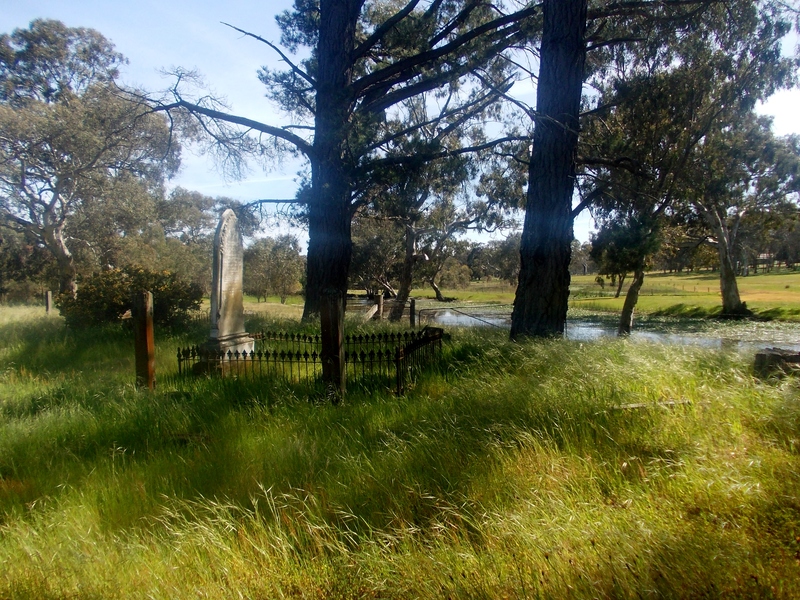 This is the Old Cavendish Cemetery on the banks of the Wannon River. 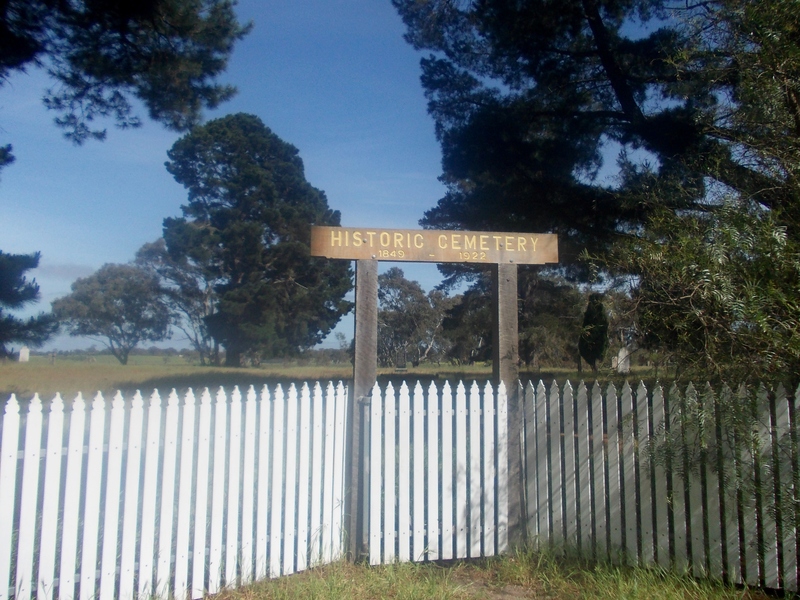 In use from 1849 through to 1922, it was the site of over 120 burials. 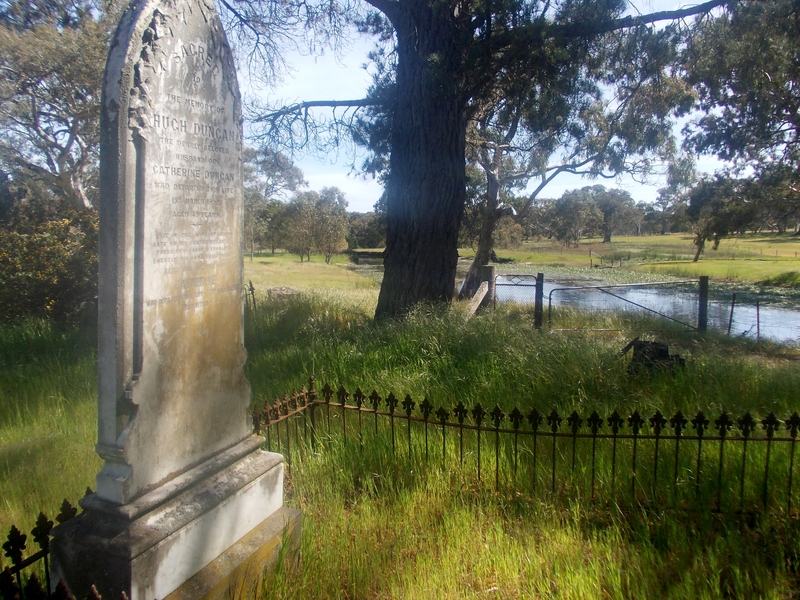 A beautiful resting place for my ancestors but the problem is there are very few headstones remaining. I visited a few weeks ago on a sunny Sunday morning. Ticking off the risk factors before entering: sunny, mid-spring, river location, long grass and graves, I decided to move quickly as I didn’t want to run into “Joe Blake”. I moved at great haste barely stopping to take each photo. Surprisingly none were blurred. 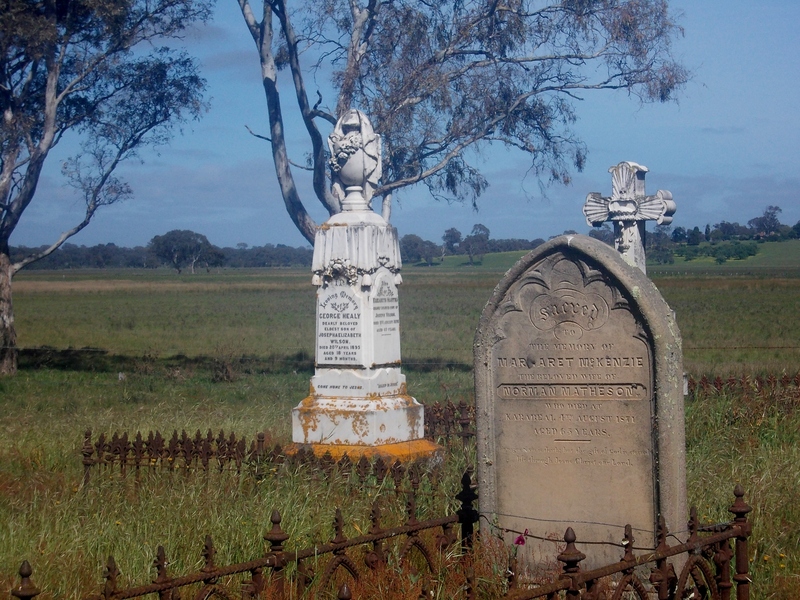 This cemetery is set in beautiful countryside with Hugh Duncan and his wife Catherine having a prime position overlooking the Wannon River. 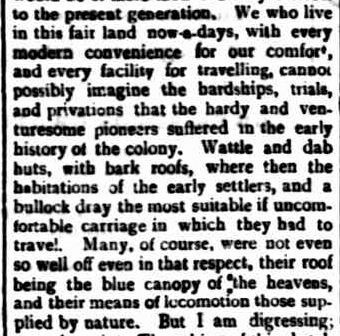 I have a family link to the Brewis family of Karabeal (below). 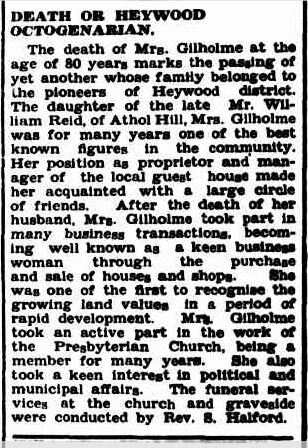 My first cousin 4 x removed, Alice Reed married Henry Alfred Brewis, son of Joseph and Mary Brewis. Alice was the niece of Susan Reed, wife of James Harman. 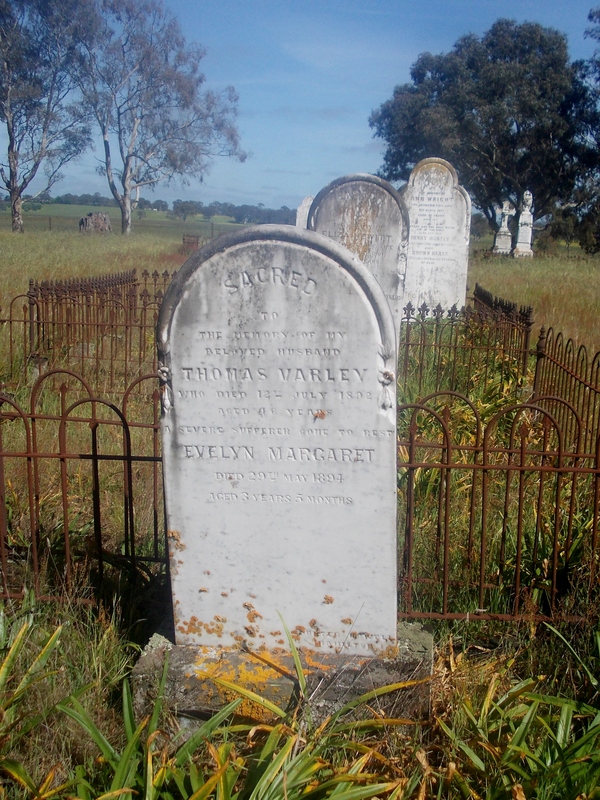 The following headstone is interesting. 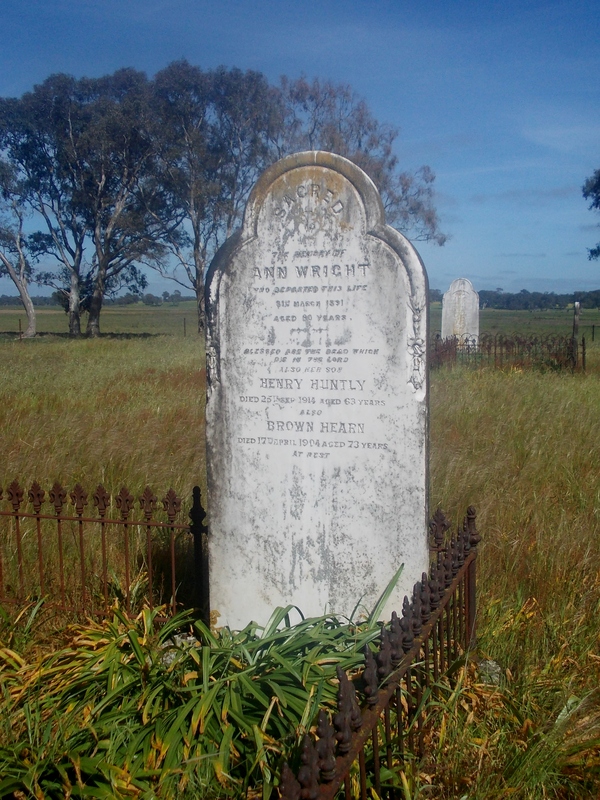 It is the grave of Ann Wright who died in 1891. 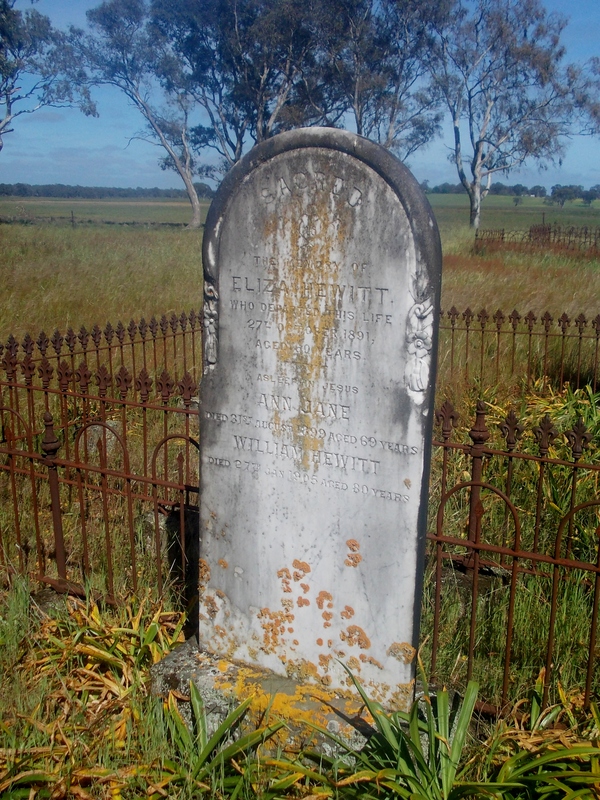 She is buried with her son Henry Huntly and another Cavendish man Brown Hearn who died in 1904. A clue came from another Hearn buried in the cemetery, Jessie Hearn. 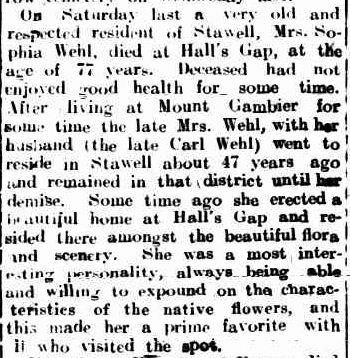 Her death record of 1880 lists the three-year old’s parents as Brown Hearn and Elizabeth Huntly (or Huntley). I have found a Victorian Marriage record for an Ann Prior to Henry Huntly in 1842 at Portland, but I can’t find a birth record for a Henry Huntly Jnr and I can’t explain the “Wright” surname. 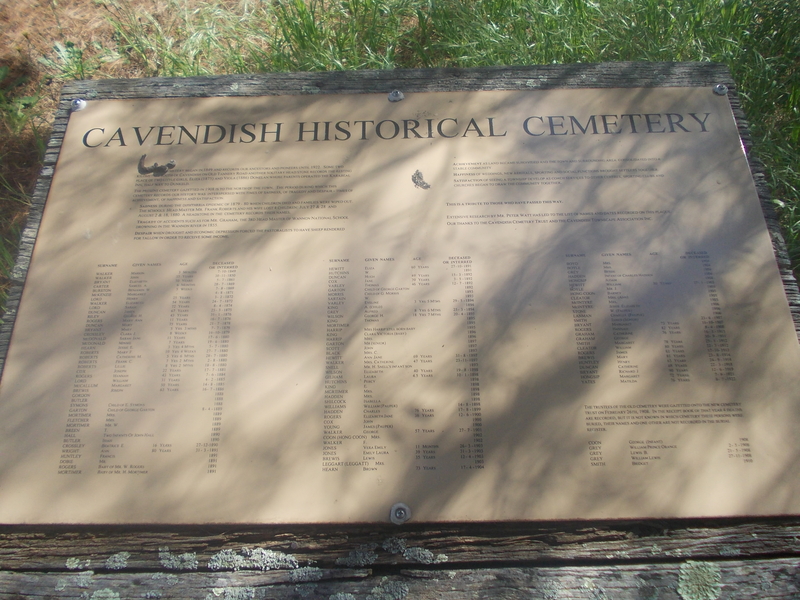 A Diphtheria epidemic hit Cavendish during 1879 and 1880 and many lives were lost including four children of the Cavendish school headmaster. 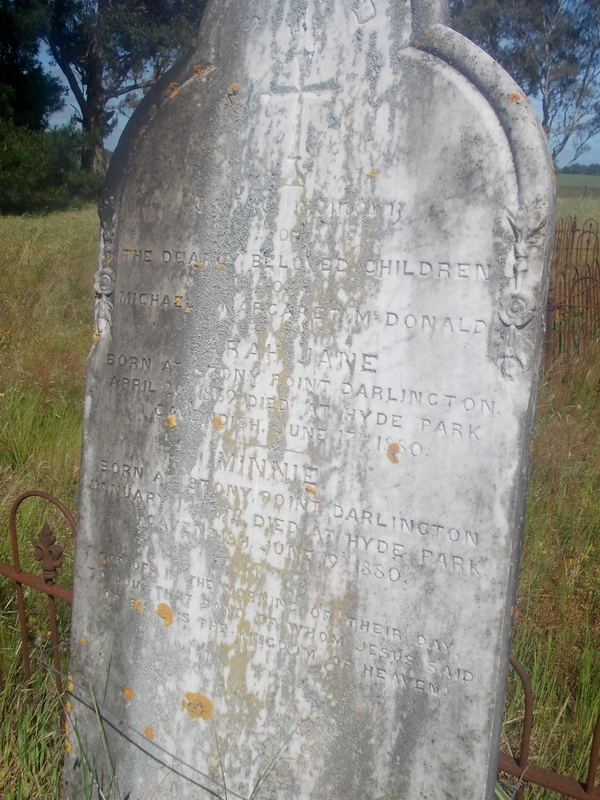 The headstone of Sarah Jane and Minnie McDonald is a reminder of that time. 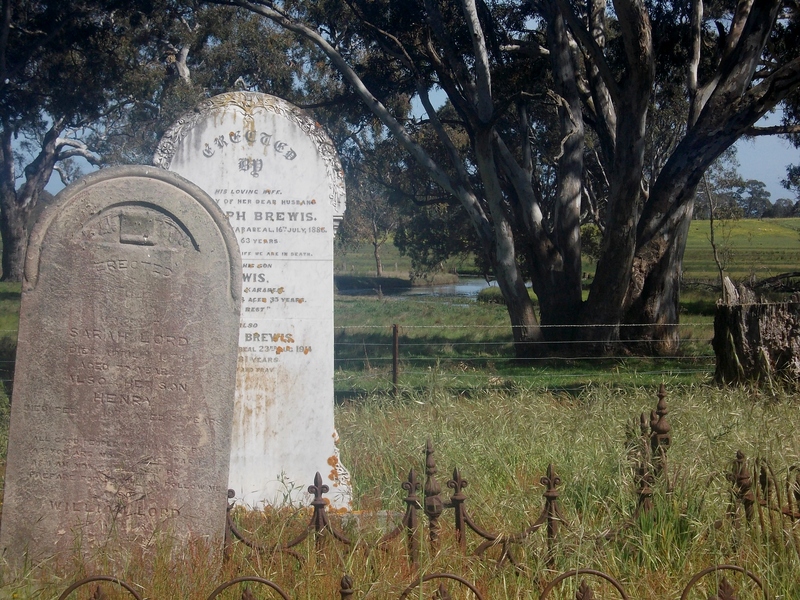 Sarah Jane passed away on 17 June 1880 and her sister on 19 June 1880. They were the daughters of Michael and Margaret McDonald of Hyde Park, Cavendish. Richard Bryant (below) was a July Passing Pioneer. 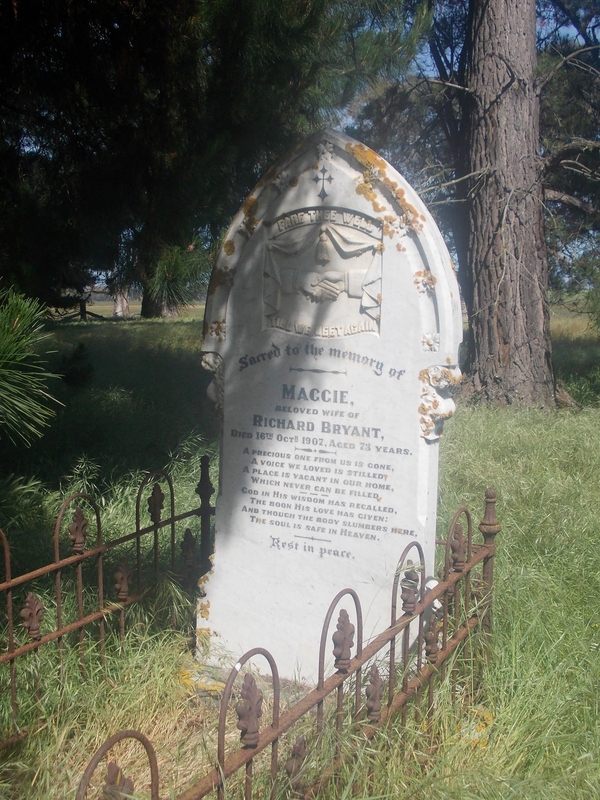 Maggie, Richard’s second wife, was born in Ireland and was Margaret Nowlan. My link to Richard is on his Passing Pioneer entry. 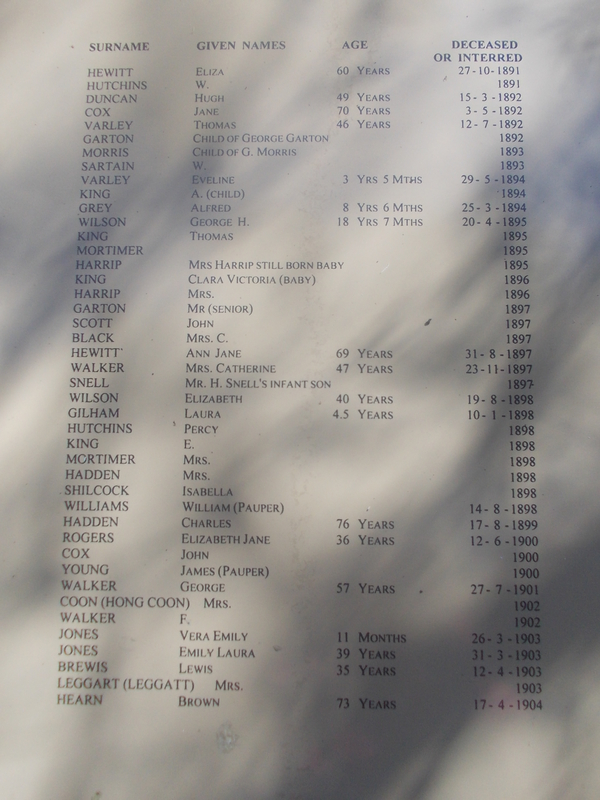 This plaque at the entrance to the cemetery lists all those buried in the cemetery and events from the history of Cavendish during the time the cemetery was in use. My family members are well represented in the cemetery, but the headstones are gone. 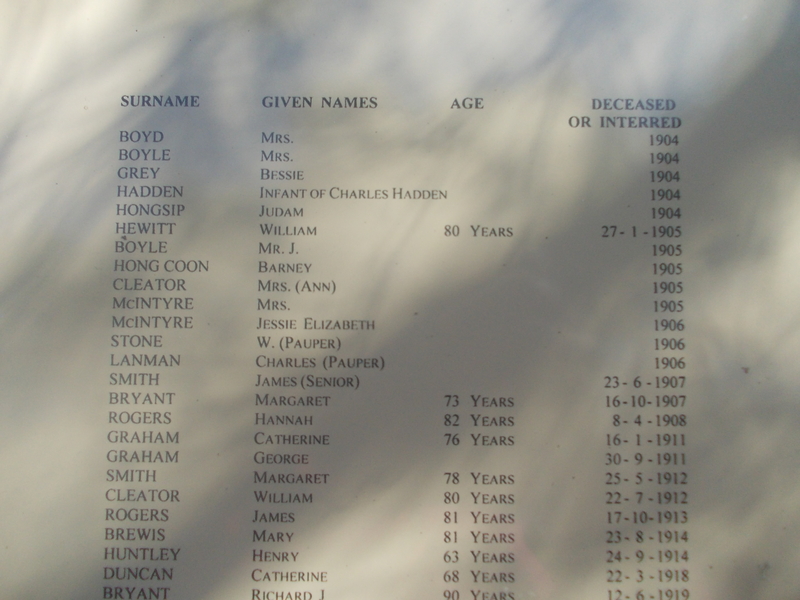 They included my ggg grandparents Charles and Agnes Hadden and their great-grandson, Charles. Also, my ggg grandfather James Mortimer, died 1895 and his granddaughter Queenie Rose Ann Victoria Mortimer who died as a baby in 1891. There are three Mortimers that I am not sure of. 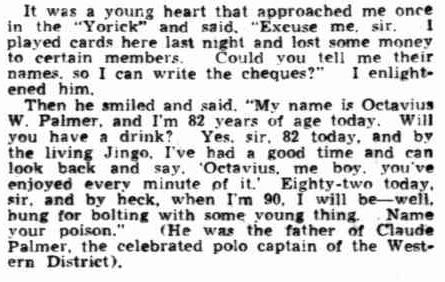 Given I cannot find the death of my ggg grandmother Rosanna Buckland*, she has to be one of them. 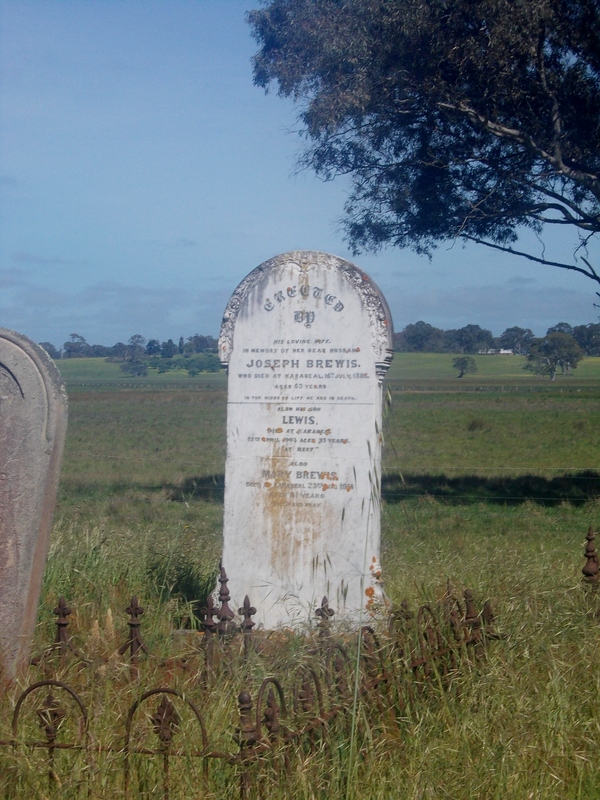 One unidentified Mortimer died in 1895 which should be James Mortimer. There is also a Mrs Mortimer, died 1889 and another Mrs Mortimer, died 1898. I think the latter is Sarah Ann Duggan, wife of Henry Mortimer, James and Rosanna’s youngest son. 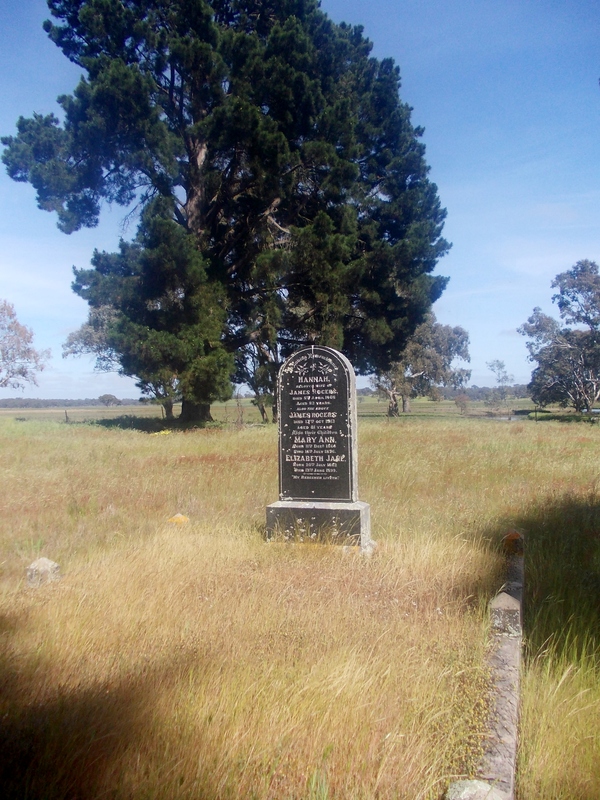 Sarah Ann died in Warrnambool in 1898. GGG Grandmother Rosanna could be the 1889 “Mrs Mortimer”. Or maybe not. 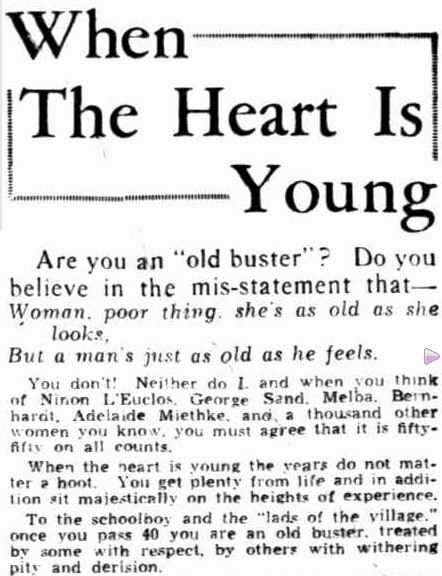 She has been elusive to date *. There is also a Mr W. Mortimer who died in 1889. I don’t have a W. Mortimer on my tree that died around that time nor can I find a W. Mortimer in the Victorian Death records. 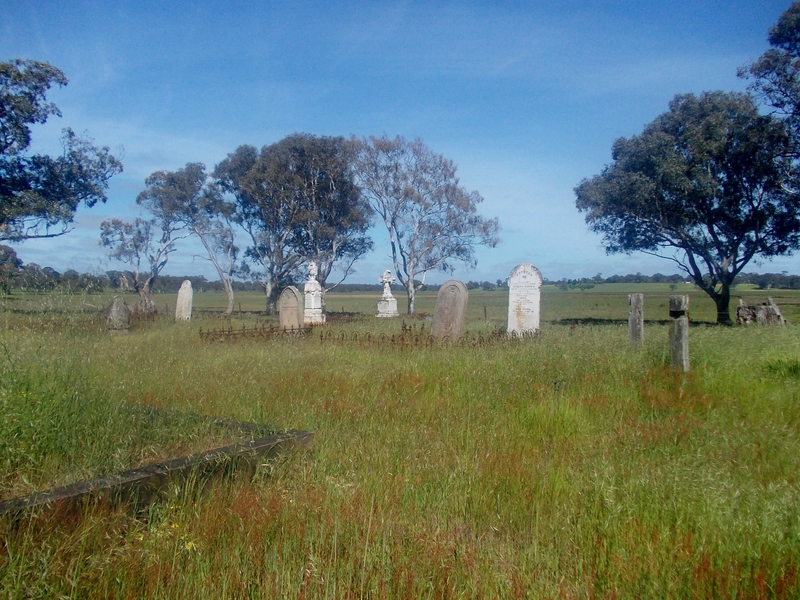 I will return to the Old Cavendish Cemetery in Autumn when the grass will be shorter and “Joe Blake” will be tiring. Maybe then I can take my time and see what is hidden beneath the grass. * With some help I did find the death date of Rosanna Mortimer and you can read more about that on the link here. 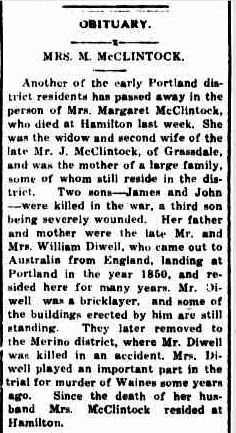 Since that discovery the Hamilton Spectators from the time are now available at Trove, so I was able to find Rosanna’s obituary and once again another variation on her name. “Items of News.” Hamilton Spectator (Vic. 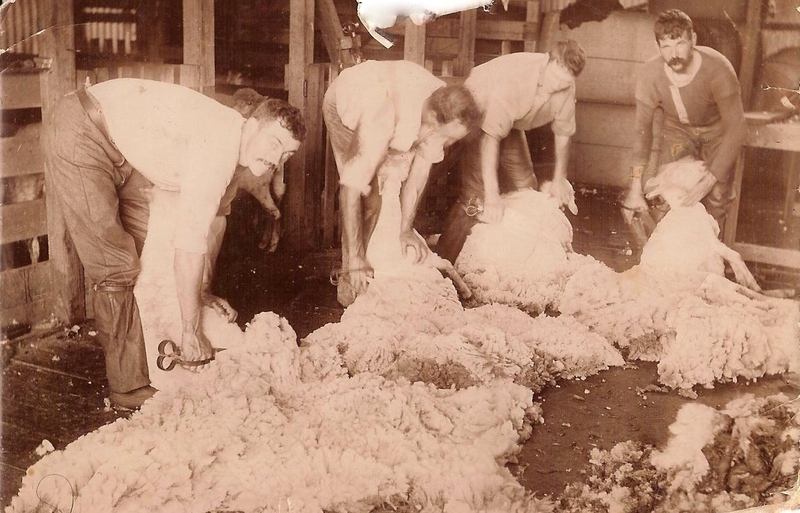 : 1870 – 1918) 28 August 1888: <http://nla.gov.au/nla.news-article225804201&gt;. “Joe Blake” ( Australian Rhyming Slang) – snake.